Sir James Tillie (1647-1713) was a gentleman now most famous for the discovery of his decaying body in a mausoleum, where he sat in a chair, looking over the river. Remembered as notorious, and as an irreligious lawyer who stole from his clients, poisoned one and then took his wife, his name has been ruined by rumour and by stories of his death. However, having started life on a small farm, he became a successful lawyer and rich man, an example of the changes in society and class that then became possible. He also built houses of unusual design, one at Pentillie, Cornwall, named after himself and another in Wingfield, Wiltshire, built to justify his birthplace as one of ‘ancient nobility’. 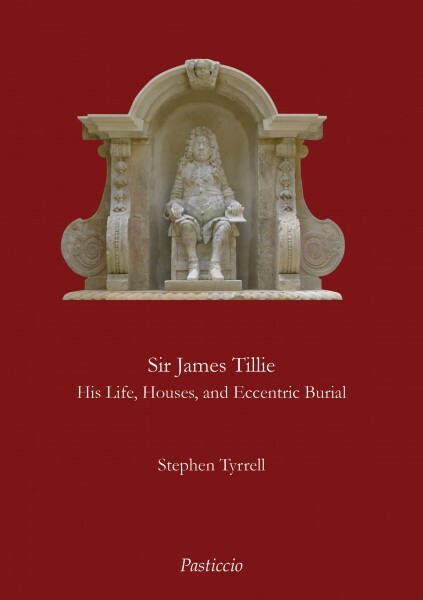 This book describes the life, romances, legal battles, unusual architecture and eccentric burial of Sir James Tillie. It also establishes the truth behind some of the wilder stories about him, and re-assesses his life.